Ian Standingford has been in touch to say that there’s an Essex-built example of the American-designed Seagull design up for sale on Apollo Duck. ‘I remember you had some correspondence at one time about the American Seagull design? ‘Browsing on “Apollo Duck” I see there is one such for sale. ‘Boy Martin is well known in the Benfleet and Leigh area and seems to be in nice order… I would be tempted to buy her myself but have others to look after! ‘I note she was built by Leslie Warland, whose yard was on Leigh marshes, near the bridge over to Two Tree island. ‘As a lad in the 1960s, I loved to wander around this ramshackle place, which was home to several barges…one I think was called Edith & Hilda, and there was also a Dutchman or two, and many yachts of all descriptions in various stages of decay. No trace remains now. Does anyone else remember it? A chap called Ron has been in touch to ask if I could help advertise his sweet little motor launch, which is for sale. 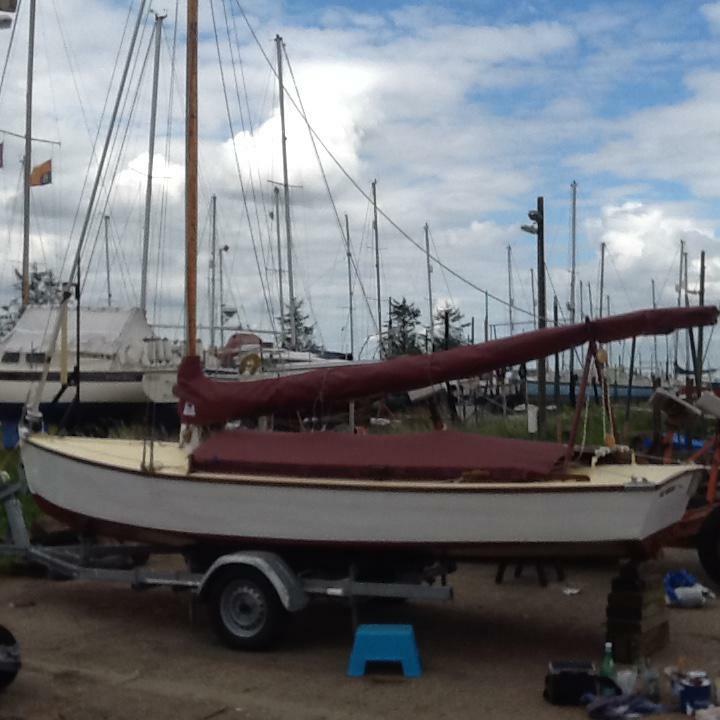 He believes it was built by Brooke Marine between the wars and says that it is in excellent condition. He’s sentimental about the boat, which his father bought before he was born, so he’s keen that it should go to a suitable home, where it will be cared for. From the right buyer, he would accept a reasonable offer. If you’re interested, email me at gmatkin@gmail.com and I’ll pass your message on to him. The boat is at Chester. ‘She is as sound as when she was re-built back in the 50s and though she’s not a ‘name’ make like Andrews or Riva, she’s unique. I’m getting on now, but the main reason for having to let her go is that the Council here in Chester have rendered it impossible to park the trailer/car at the launch slipway. ‘I hope you’ll agree with me in that she’s a lovely old boat and worth preserving. She is largely planked with British Honduras mahogany, with decks of African mahogany with meranti on the bottom. ‘She has a Robin Reliant 850cc with the gear box converted to give direct forward and almost direct reverse, and with original clutch. I still have the drawings. ‘I have three spare Reliant engines for parts.